Officials from the University of Iowa and Iowa State have announced plans to scrap the newly designed Cy-Hawk trophy. 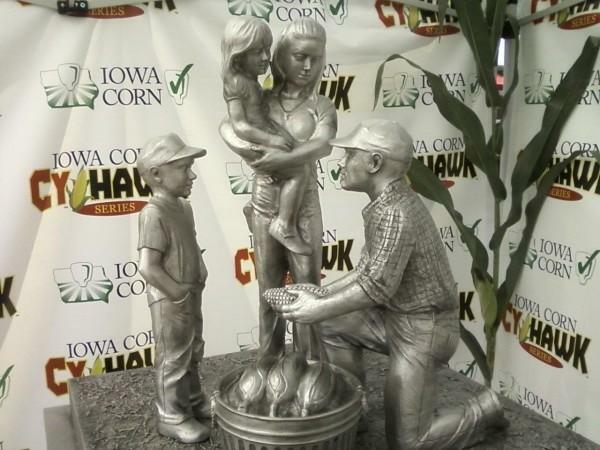 Late Monday, researches in Des Moines confirmed fears that it was scientifically, the “gayest trophy ever”. 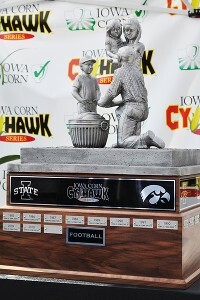 The Cy-Hawk trophy was meant to be awarded to the winner of the annualIowa–IowaStaterivalry game. “The designation has absolutely nothing to do with homosexuality,” says one Iowa State University official. “If anything, the gay community is behind us one hundred percent”. Will there ever be another trophy? Big Ten spokesperson Ken Biggelsworth remarked: “Next time we commission a new trophy let’s hope the designers aren’t reaching into a proverbial bag of dicks for inspiration”. For now, the long-established Cy-Hawk trophy will have to do. August 30, 2011 in News.